Flash forward to October. The Panthers’ football season is half way over, and Georgia State has gone up against a few tough, non-conference opponents including Alabama and West Virginia. One win is likely in the opening half of the season, two are possible, three. . . don’t hold your breath. At this point of the season, the Panthers may be feeling the heavy burden of losses pilling up and feel despaired. Yet, the second half of the season holds hope for the Panthers with only Sun Belt opponents remaining to face. This far in the season, the team will grow stronger and more comfortable with one another. Plays will begin to execute, and drives will be finished to turn a rough start into a respectable finish. Texas State is the Panther’s sixth opponent this year. The Panthers travel to San Marcos, Texas to meet up with the other newly accredited Sun Belt team, the Texas State Bobcats. The Bobcats, former Western Atlantic Conference members, are used to defending high-powered west coast offences, but that does not mean they were successful. The Bobcats in 2012 were ranked FBS No. 100 in opposing points per game averaging 33.5 points allowed while letting opponents rush just under 3,000 yards against them on the season. The Bobcats’ offense makes up for the lack of defense and keeps Texas State in the games. The offense is led by senior running back Marcus Curry. Curry ran for a total of 685 yards scoring 10 rushing touchdowns in 2012. The Panthers will have to stop Curry and the Bobcat’s running game to stay alive, while the offense needs to find the holes on the ground in a penetrable defense. 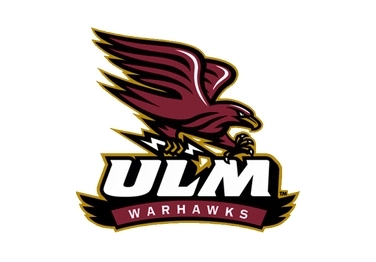 The Louisiana-Monroe Warhawks made their first bowl appearance in University history at the AdvoCare V100 Independence Bowl last season, only to loose to the Ohio Bobcats in a blowout. The Warhawks’ season was nothing to sneeze at with an 8-5 overall record with a 6-2 record in the Sun Belt. Notable games for the Warhawks were victories over AP No. 8 ranked Arkansas and Western Kentucky while suffering devastating losses to Auburn and Baylor by single digits. Louisiana-Monroe comes back for the 2013 season ready to repeat a bowl appearance, but this time finish with a win led by their senior quarterback Kolten Browning. Browning threw for 3049 yards and 29 touchdowns while rushing for seven touchdowns. Browning single handedly led the offense to make up for a lack of help from the rush offense. The Warhawks took a big loss with two of their linebackers, R.J. Young and DaCorris Ford graduating after the 2012 season, but several are ready to step up and fill the defensive gaps. Georgia State will have to try every which way to put pressure on Browning and force him to throw shorter passes knowing the Warhawks’ receivers averaged 11 yards per catch last season making it too easy to get first downs. The Hilltoppers boast Bobby Petrino as their coach. 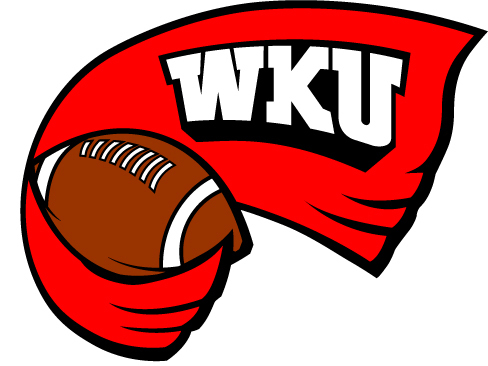 This will be Petrino’s first year at Western Kentucky. Former Atlanta Falcons coach Bobby Petrino will make an appearance at his former, (very) short-term home, the Georgia Dome. Last season, the Hilltoppers looked like they were going to have a promising season winning five out of their first 6, but things turned for the worst as they lost five out of their final seven games. The problem? Sun Belt opponents. While the Hilltoppers averaged over 26 points per game in their final seven games, their defense could not hold their own letting opponents barely slip by with an average of 28 points per game. The Panthers should expect versatile running back Antonio Andrews to be Western Kentucky’s impact player. The Hilltoppers’ senior has been listed as one to watch according to the Maxwell Football Club. Last Season Andrews scored 11 rushing touchdowns and averaged 243 all-purpose yards per game. Georgia State has a chance to ruin Petrino’s unwelcomed visit to the Dome if the defense is able to limit Andrews. If Andrews is taken out of the equation, the Panthers have a golden opportunity to get a higher number in the win column. 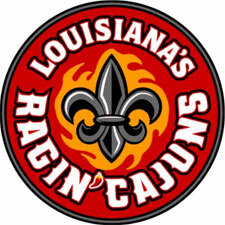 The Ragin’ Cajuns will be a tough test. The Ragin’ Cajuns tied with their best season in school history finishing 9-4 last season with a second consecutive victory in the New Orleans Bowl. Junior quarterback Terrance Broadway is coming off a strong season throwing 2,842 yards and 17 passing touchdowns, but his spot may not be guaranteed for the upcoming season. Redshirt Freshman quarterback Brooks Haack made his first appearance at the Ragin’ Cajuns annual spring game and had a superb debut making 15 of 19 attempted passes and 2 touchdowns. While no official word has been made on the quarterback position for Louisiana- Lafayette, it seems the team will continue moving in a winning direction with at least two athletic quarterbacks ready to take the snaps. The Louisiana defense has also proven to hold steady keeping opponents down a touchdown on average to solidify victories, and now with the addition of Defensive Coordinator James Willis, former University of Alabama associate head coach and outside linebackers coach during the Crimson Tide’s 2009 BCS National Championship, it does not appear that the raging defense will dwindle. Georgia State must play all around tenacious defense to even think about keeping this one close because the Ragin’ Cajuns might finally be looking at a Sun Belt Championship in 2013. The next opponent: Arkansas State. The 2012 Sun Belt Champions will return with a hole in the quarterback with Ryan Aplin moving on from the Red Wolves to the NFL. Aplin accumulated 30 all-purpose touchdowns in the 2012 season. There is little to report on the quarterback situation in Arkansas State, but with the return of running back David Oku who rushed for 1061 yards in 2012 and receiver J.D. McKissic who caught for 1022 yards, there will be no shortage of offense waiting for any defense who tries to stand in the Red Wolves’ way. As for Georgia State, the game plan should be focused on putting the best corners on McKissic and leaving no holes on the line for Oku when they travel to Jonesboro, Ark.. While the Red Wolves were ranked FBS No. 23 in offense, they were ranked FBS No. 53 in defense especially struggling with air attacks. A quarterback-receiver throw-and-catch game plan is key for Georgia State if they wish to compete against a top tier Sun Belt team. 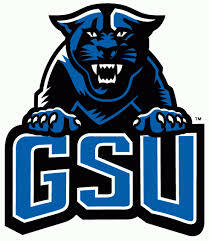 The last opponent of Georgia State football’s first season in the FBS and Sun Belt. The South Alabama Jaguars had a sorry season in 2012 going 2-11 overall and loosing all but one game in the Sun Belt. South Alabama’s disparate victories came against Nicholls State in a battle of the kickers and an offensive shootout against Florida Atlantic in a double overtime win. With the Jaguars having only more victory than Georgia State did in 2012, the Panthers should feel evenly matched with South Alabama and may be able to end the season on a winning note. Unlike the Panthers, however, the Jaguars were not blown out in their 11 losses. While the Jaguars were outscored 383-240 by their opponents, Georgia State was outscored an embarrassing 424-191. A close and thrilling matchup should be expected for the home finale, and this November battle could determine who may finish at the bottom of the Sun Belt.